Venshore Mechanical was awarded a 'turn key' firm-price contract to remove two existing penstock control valves and replace with new re-designed butterfly valves. 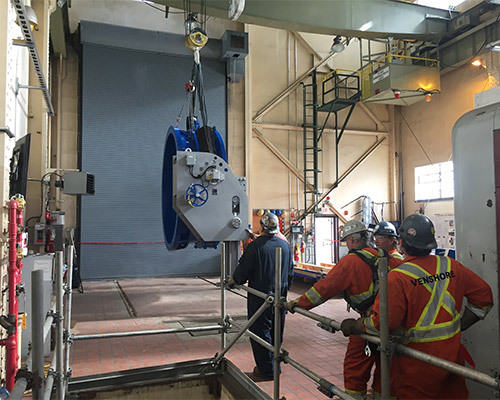 The installation included all new hydraulic supply systems as well as electrical controls. 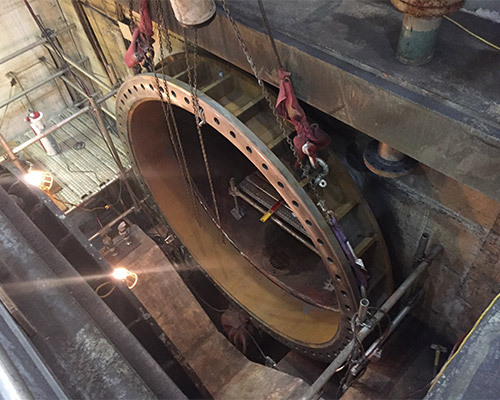 The new valves required a new section of penstock with reinforced flange be installed to help support the weight of the new valves. This challenging project was successfully completed on schedule.